Your flowers are sorted, the caterer is booked, you've found the venue of your dreams and you're ready to marry the love of your life ... so now it's time to inject some serious fun into your wedding day! 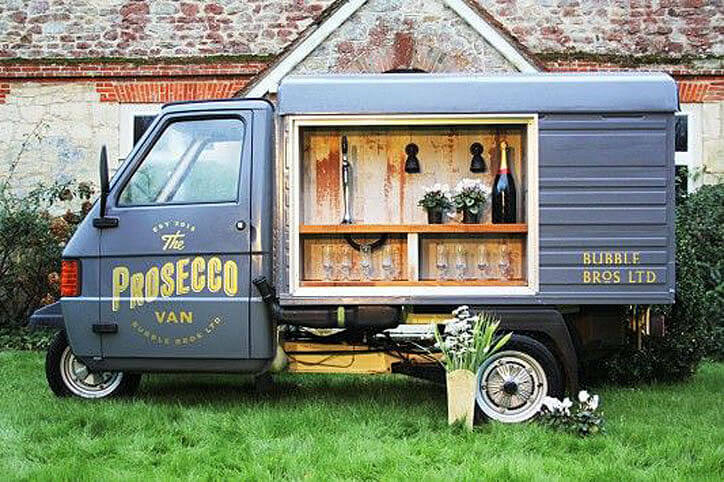 Rather than sticking to the traditional drinking stations go for a bar area that is simply delightful and Instagram worthy! 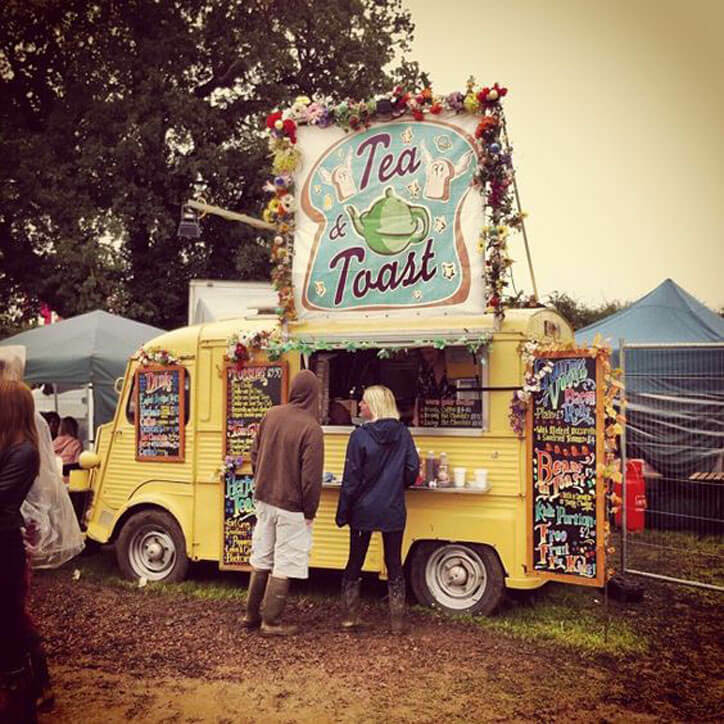 Think vintage furniture and desks, recycled barrels, drinks trolleys and even a food truck. The more inventive the idea the better! Lay out jugs and canisters for your guests to fill their drinks in and then make it beautiful with candles, greenery and a chalkboard/message board with a little message for your guests. Don't just stop at your drinks station, why not pimp up your drinks? 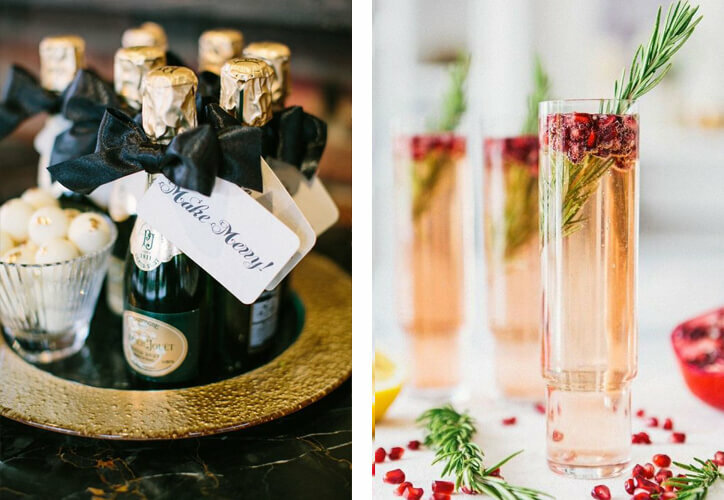 Add mango sorbet to your prosecco, mint leaves to your G&T, rosemary to your bubbly, create a pomegranate spritzer or keep it simple and serve your guests drinks in a bottle with a straw. Lucy St George hosted a Christmas in July Party last year and she created a Selfie booth with mini hats, moustaches and other accessories that the parties guests could use to dress up and strike a pose. 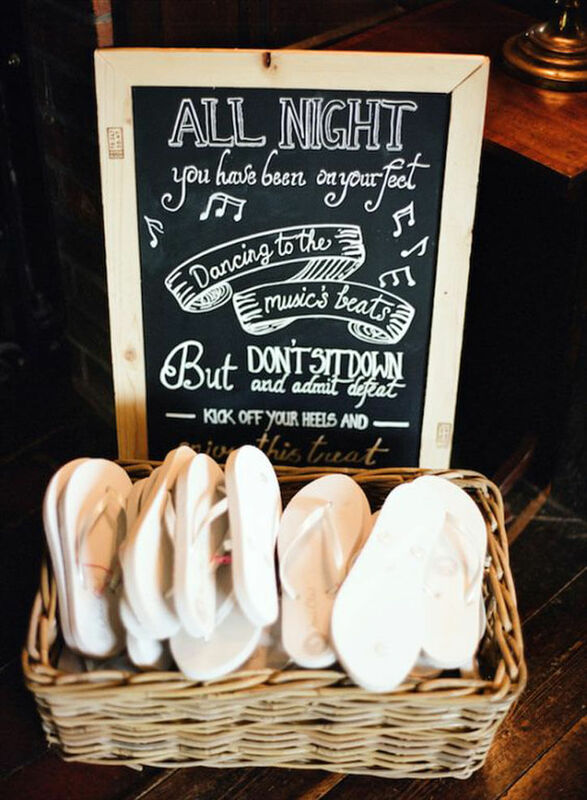 This got us thinking... why not steal this genius idea and use it on your wedding day? You can have so much fun creating your selfie station and there are so many interesting and unique ideas on Pinterest that you can incorporate into your personal style. 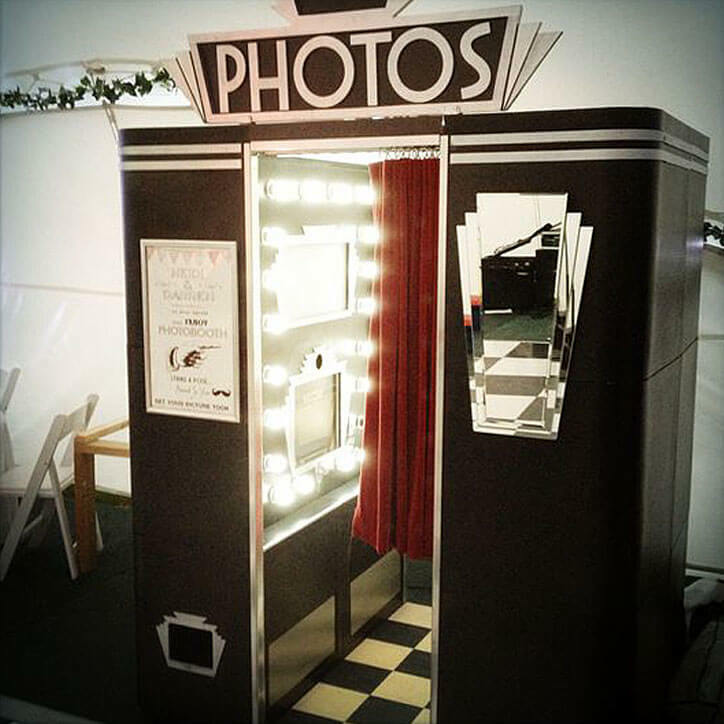 A teepee selfie booth is a cool and laid-back twist on the traditional photo booth. 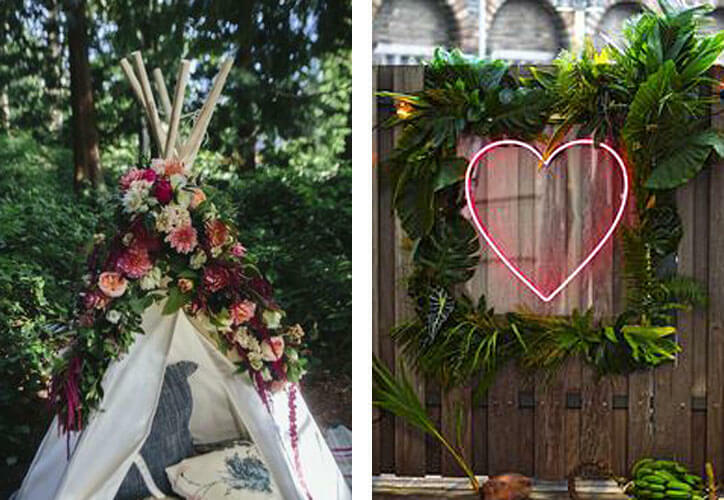 Layer the teepee with cushions and rugs for an interesting backdrop in your guest's photos. Alternatively, keep it simple and style your selfie booth against a wall and keep a basket near with sunglasses, mini-moustaches, hats and accessories for your guests to play around with. You could even create your very hashtag for your guests to post alongside their photos on Instagram! It's an easy way to find all of your guest's photos from your big day. Food and booze will keep you and your guests partying all night long, so it's important that there's plenty of food stations around your venue to keep everyone going. Why not hire a food truck for the end of the night? Mini burgers and chips are great finger food ideas that will delight your guests after a few hours on the dance floor. 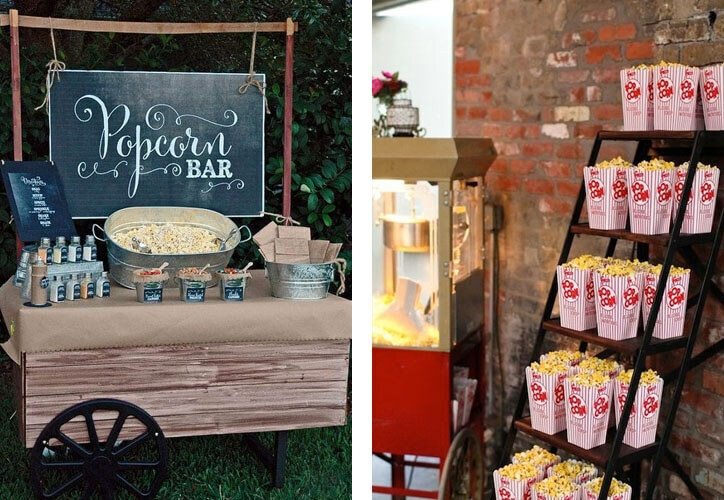 Alternatively, opt for a mini food bar with delightful treats such as popcorn and candy floor. This is a great idea for handing out wedding cake and pudding as well. There is nothing more delightful than baskets of mini treats propped around your wedding venue. In the bathrooms fill wicker baskets with flip flops, deodorants, make-up, mints and other useful accessories. By the venue doors fill stands with umbrellas so that your party can go on rain or shine. A personal and more intimate idea is to create little goodie bags for your bridesmaids and groomsman. It doesn't have to be expensive, but it really is a nice way to thank your friends and family for all of their hard work leading up to your wedding day. 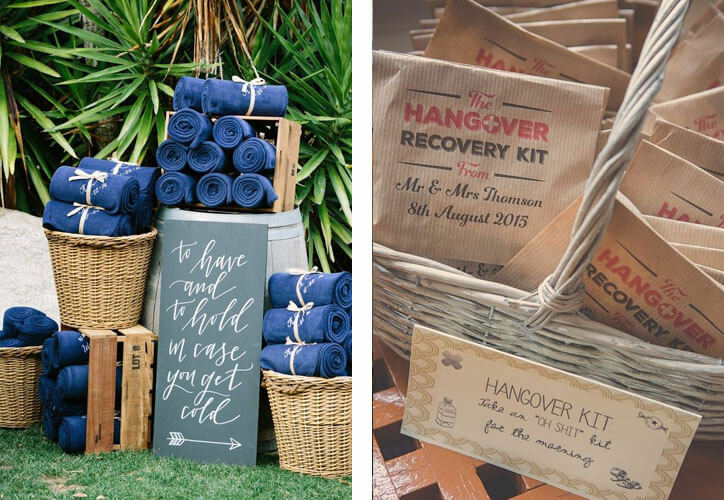 Easy to do, all you will need is a tote bag, a card with a personal message and then fill it with fun treats like mini bottles of booze, chocolate and a hangover recovery kit! 5. Balloons... not just for kids! With such an abundant choice out there, why not opt for balloons? Not only are they a little bit of fun, but they are also a very affordable method to spice up your wedding decor with. 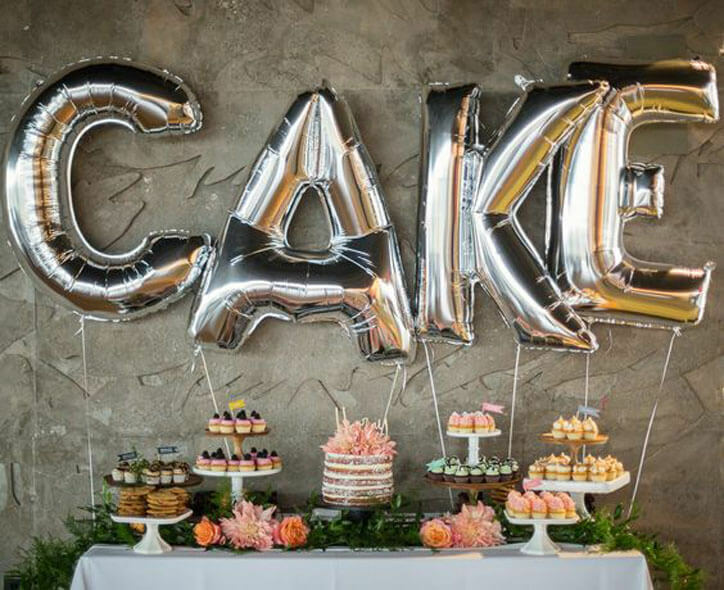 If you want to go all out why not get balloons in the shape of letters? You could hang large 'Mr & Mrs' balloons over the wedding cake or at the back of the dance floor. 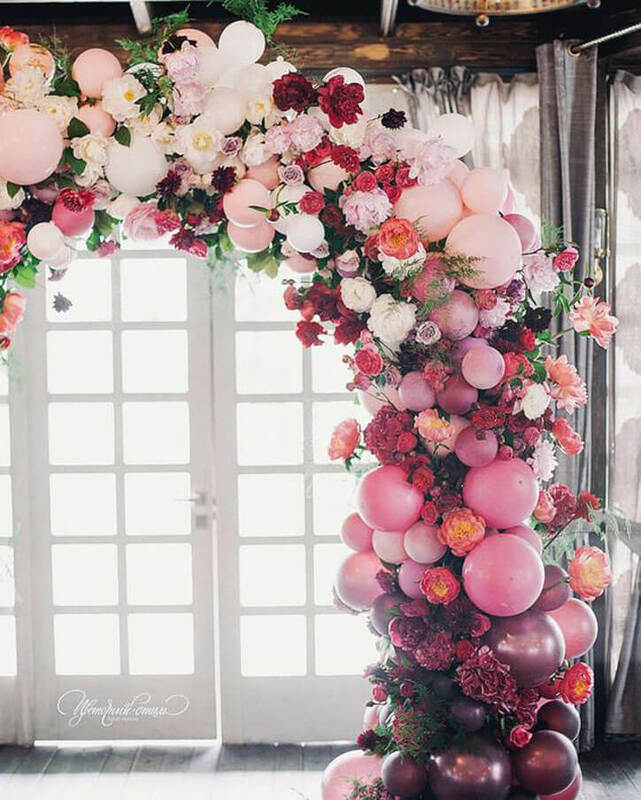 Alternatively, float hundreds of balloons to the roof of your wedding venue for a colourful and eye-catching display that will surprise your guests. 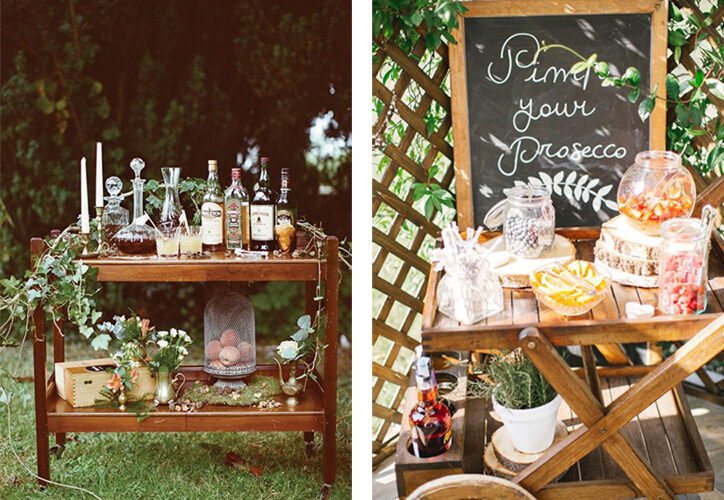 For more fun ideas, check out our Wedding Inspiration Pinterest Board.